Me First and the Gimme Gimmes Sing in Japanese out September 13th! 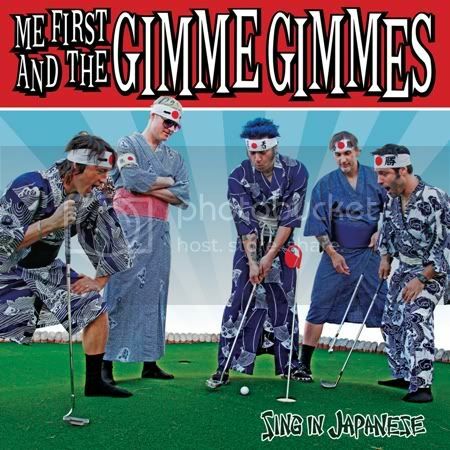 Me First and the Gimme Gimmes Sing in Japanese will be released on September 13th. The EP marks the Gimmes first foray into singing in a foreign language (Japanese, if you hadn’t figured that out from the title), as they put their trademark twist on 6 hits from the land of the rising sun. The EP will be available on CD, 12” vinyl and digitally. To find out how Spike tackled the process of recording and learning Japanese, read this! Check out the cover art and new show date below. Stay tuned as the Gimmes will be adding more Japanese tour dates soon.